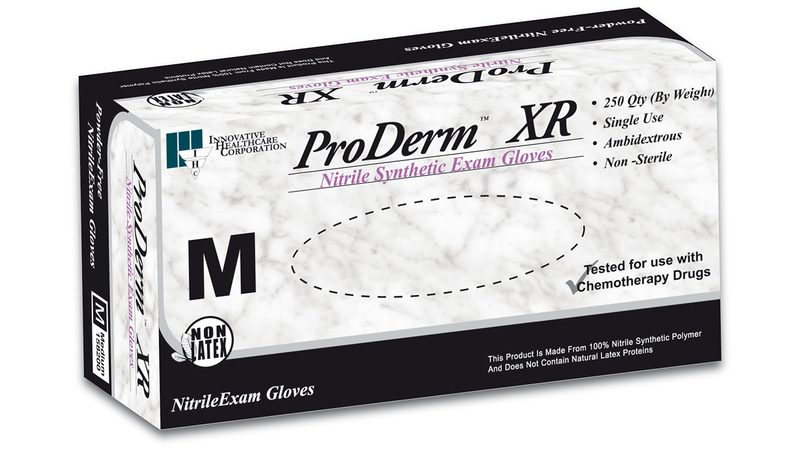 Characteristics: ProDerm™ XR Nitrile Exam Gloves have been re-designed from the ground up to meet the constantly evolving needs of today’s health care practitioners. This exciting new nitrile compounding technology allows for a thinner, lighter glove with extraordinary tactile sensitivity, yet equally extraordinary strength. Easy to don, soft, comfortable and providing all of the required barrier properties for a wide range of health care applications.